Showing results for tags 'ftb'. Sky Factory Gods's Richest players! interactions New FTB Interactions Modded Server is now OPEN! 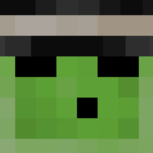 stoneblock2 FTB StoneBlock2 Server updated to modpack version 1.10.0! 1.12.2 FTB Direwolf20 1.12.2 Server Update to Modpack version 2.5.0! vote FTB SkyAdventures server RESET for protection update? Vote and tell us what do you think. Hi guys, so this is about our SkyAdventures server. We need to change the island protection system, the major issue we have with the builtin mod is it is buggy and incomplete. At first I thought that using the built it mod was a good idea since it matches the single player experience, however the mod has issues in multiplayer, islands get lost and the mod is not really done like features are missing, there is no island deleting system and after we talked to the mod developer looks like there are no plans to develop it further, at least not any time soon. Also the server is not that populated because of these issues. Please vote in the pool above and let us know when to do this update, it is required to do a server WIPE as changing the island and protection system means all existing islands will be lost. The new island protection system is similar to what we use on skyfactory3 and stoneblock2 servers. Thanks! stoneblock2 New FTB StoneBlock2 Modded Server is now OPEN! direwolf20 FTB Direwolf20 1.7.10 Server WIPE is Complete! Today we completed the server WIPE, here is the old map download link below. DOWNLOAD Download will be available for 4 weeks starting now. 1.7.10 FTB Direwolf20 1.7.10 Server time for WIPE? Vote! infinity FTB Infinity Evolved Server WIPE is Complete! Here is a download link of the main world map right before the server full reset. Download The link will be available for 30 days starting now. skyadventures New FTB SkyAdventures Modded Server is now OPEN! 1.6.0 FTB Continuum Server Update to Modpack version 1.6.0! 2.7.0 FTB Revelation Server update to Mod Pack version 2.7.0! 1.12.2 FTB Direwolf20 1.12.2 Server Update to Modpack version 2.4.0! So we want to open a new server on FTB Sky Adventures modpack. Modpack details. "FTB Sky Adventures is a large 1.12 modpack with a mix of tech and magic mods using a new questing system, FTB Quests. This pack is centered around Project-E for resource gathering after acquiring your raw resources with Ex Nihilo in early game. Quests are not forced progression so the route you take is up to you. For the first time in a FTB pack we focus on fun, fast progression if the player chooses to. Get loads of resources and blocks quickly to build the ultimate sky block base. Dive deep into the tech and magic trees of all mods, and even explore bee breeding! Trust me, it pays well! Rewards are handed out in the form of in game money, save up your cash to buy unique and helpful items from the reward store found in the last chapter of the quest book. You also have the chance of getting rewards that could change the way you progress! *Note this is not real money, just in game currency that has no use outside of this modpack. Quests are completely optional and end game can be reached without even opening the quest book if the player so desires*" We want your opinion on this idea, should we close SkyFactory2.5 and replace it with FTB SkyAdventures? or keep SkyFactory2.5 and open the new server on a new dedicated host? SkyFactory2.5 is old and very few players still play on the server, amount of daily votes also reflect that, details here. Please vote in the pool above and let us know what you think! infinity FTB Infinity Server moved to a new Dedicated Host! 2.6.0 FTB Revelation Server update to Mod Pack version 2.6.0! revelation FTB Revelation Server WIPE is Complete! wipe FTB Revelation time for WIPE? Vote here! revelation FTB Revelation Server update to Mod Pack version 2.5.0! 1.12.2 Direwolf20 1.12.2 Update to Modpack version 2.3.0! Also Time for WIPE? continuum FTB Continuum Modded Server is now OPEN!